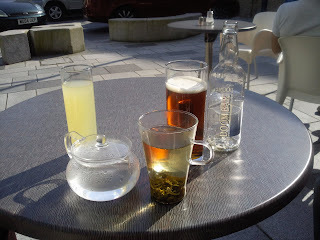 Yesterday I stumbled across the perfect Cafe; It was my Mum's birthday and we had decided to take a stroll down the Barbican for a bite to eat. After realising it was Black Sunday (one of the days of the year where the Barbican is packed to bursting point and there are always a few people who drink throughout the afternoon before starting mini riots later in the day) we opted to return to a cafe we had perused on our initial walk. 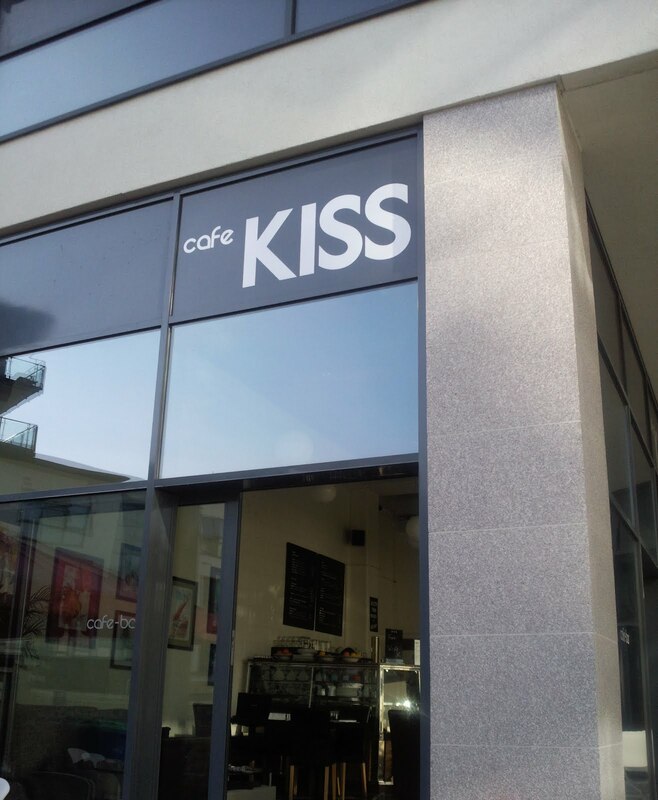 Cafe Kiss opened just last week and offers everything you could possibly ask for; superb home-cooked food, locally sourced ingredients, piazza style outdoor seating as well as plush leather sofas for those opting to dine inside. 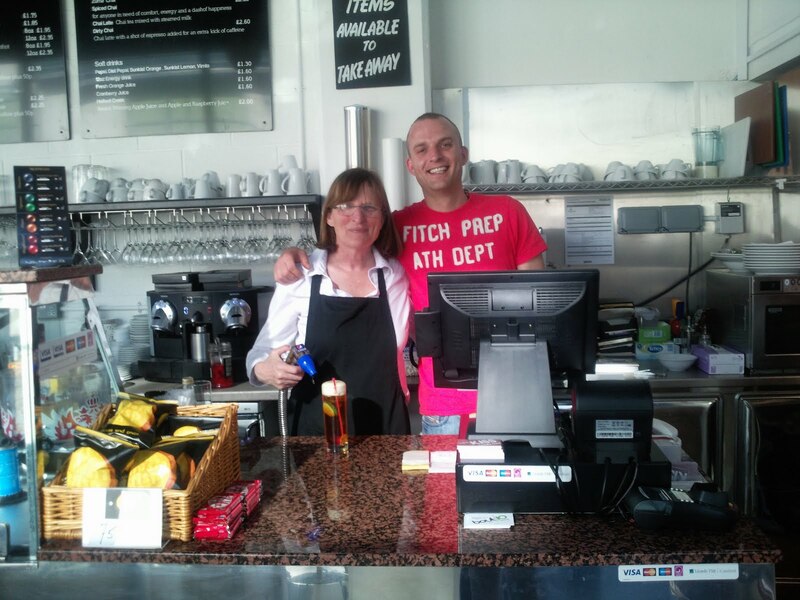 The cafe is licensed and sells everything from wines and spirits to a fabulous pint of Doombar. 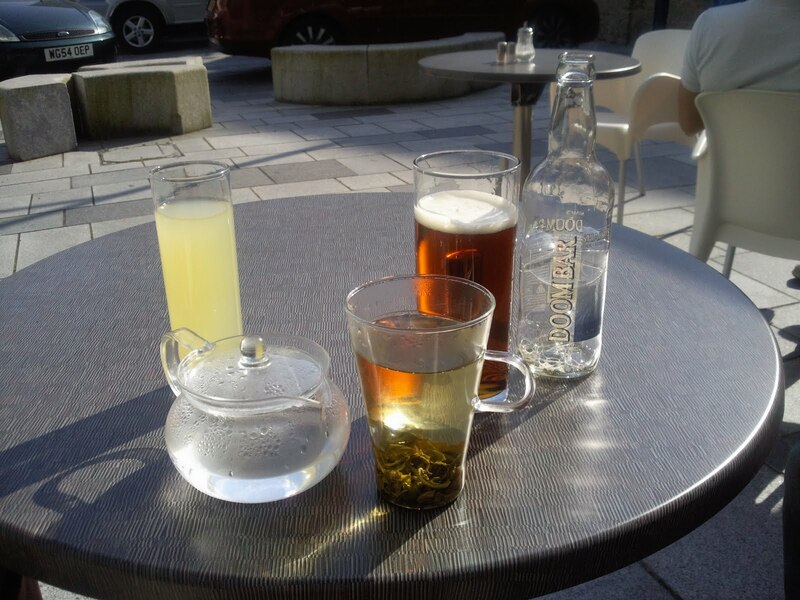 I started with an amazing pot of Jasmine tea, probably the best example of a green tea I have ever tasted, and then chose a simple option of a Jacket Potato with cheese and tuna. My Mum opted for the salmon fishcakes which were apparently sold out, this did not mean that they weren't on offer but just meant we were asked if we would mind waiting an extra few minutes whilst they made another batch, that's what I call good service and proves all the food is made freshly. Sid uncertainly went for the Thai Green Chicken curry fearing it would be like many of the disasterous Thai imitation foods found in the west. None of us were about to be disappointed as the food arrived stunningly presented and with a taste to match its appearance. The food was fabulous value for money and neither of us could stop complimenting the food or venue as we tucked into our sumptious dishes. To add to our dining experience we had grabbed a table on the patio area in the glorious sunshine (hotter than Spain or Greece! ), we also enjoyed live background music courtesy of a young lady singing at the Swallow. 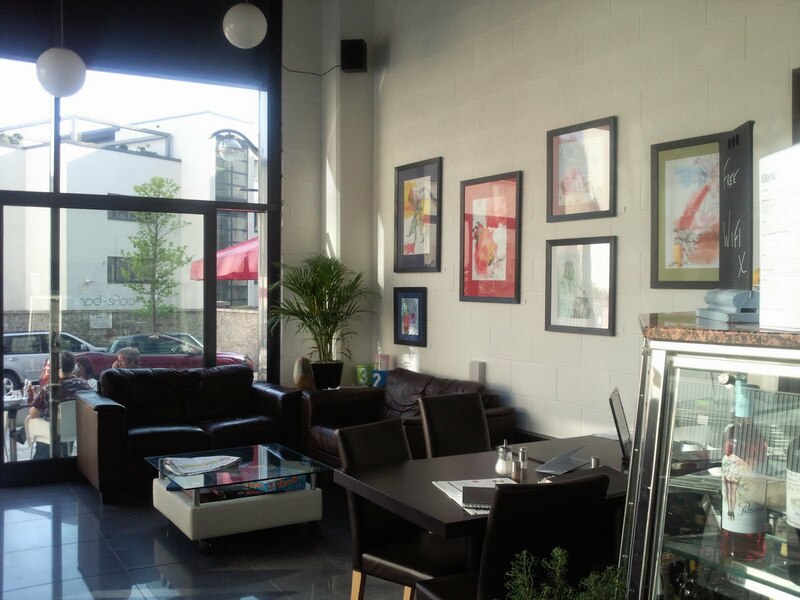 If you have a sweet tooth then Cafe Kiss has a perfect selection of home made cakes or if cocktails are more your thing check out the cocktail menu (check out some of the pictures on facebook!). The menu caters for both carnivores and vegetarians as well as those with a more fishy appetite. Cafe Kiss is family owned and run (see Mother and Son pictured right, the daughter was off yesterday) and is not part of a chain which, for me, adds to its appeal. 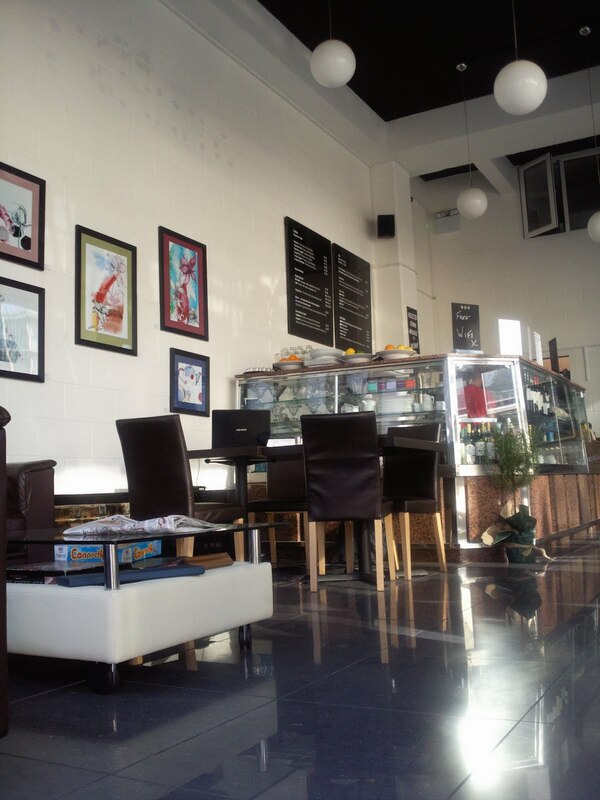 The cafe is light and airy with modern decor yet it still retains a family charm. There is disabled access and baby changing facilities for those who require them. Cafe Kiss is situated away from the main Barbican area in Bretonside making it a perfect getaway for those manic bank holidays when the Barbican receives more than it's fair share of visitors. There is one major drawback with this cafe and that is its addictive properties, we all had such a great afternoon at the cafe that we can't wait to go back and I fear this will develop into a regular habit. As you can probably gather I can't rave enough about this cafe and I hope that those of you lucky enough to live in and around Plymouth will give this place a try to help ensure its long term success, this place certainly is worthy of it.